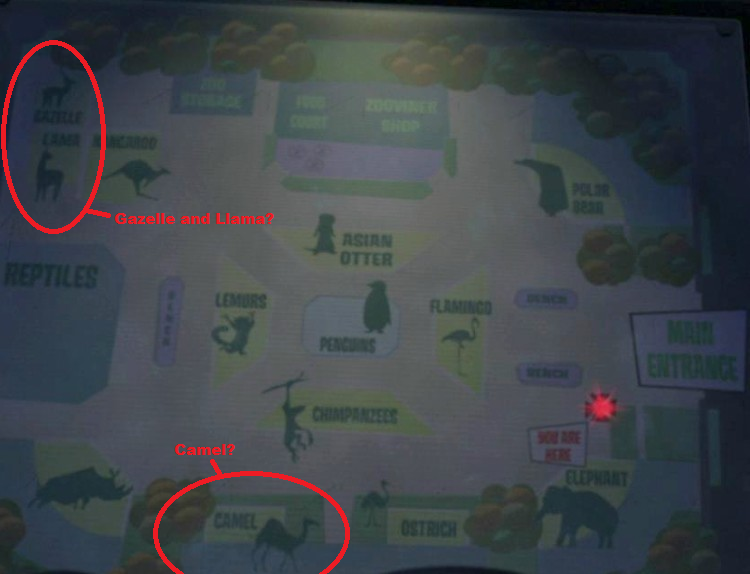 Camel, Gazelle, and Llama?!. Since when did they get there?! We haven't seen them in any episodes!!! :O. HD Wallpaper and background images in the पेंग्विन्स ऑफ मॅडगास्कर club tagged: penguins of madagascar map camel llama gazelle random habitats animal. Maybe they'll be in future episodes. But I didn't see him in any episodes that were in the series as a whole, even when the penguins were patrolling the zoo or something similar to that. 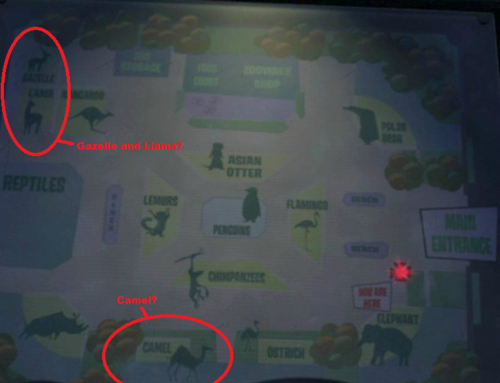 *thinks evilly* yes.......a new character in the zoo,what about a dolphin? >:3 *thunder strikes with lighting and evil music* DUN DUN DUN! ^^Oh, yeah! I've been dying to see Doris since she's gotten so many mentions in the show. That, and seeing Blowhole again=epic. Hell yeah, that would be totally epic! Okay, I have a logical explanation for them not appearing! I never noticed that before. Good catch, Bluepenguin. I wonder if they ever will be shown. Hey, the polar bear just appear in "A Christmas Caper"!!! ^And also in The Officer X Factor when Marlene was saying that all the water of the habitats was gone, the polar bear was standing next to her. :O hey marlenes an Asian otter!! cool. Anyways what is the thing with no title by the Lamas? Anyways..... i think i see some new epis... Who agrees?? Or Alice was just too lazy to take it down in the time since they left.